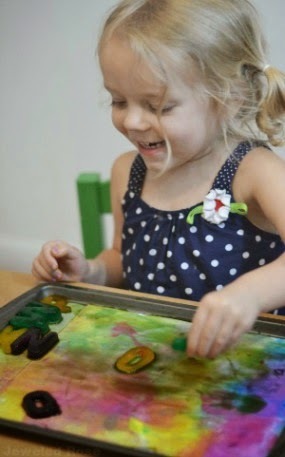 During the Summer months we love to play and explore with ice. 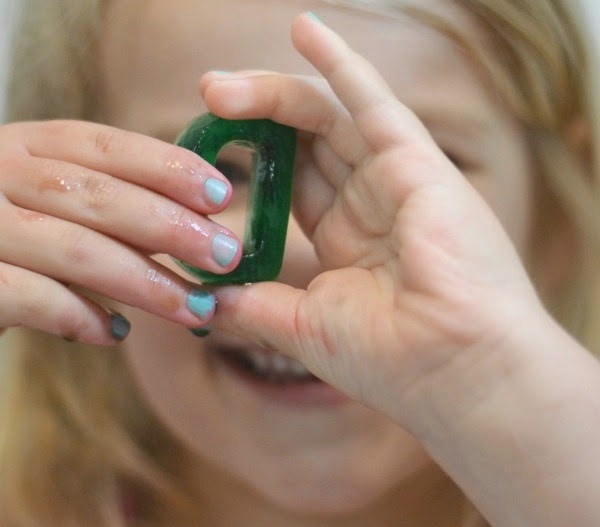 It is such a simple way to cool things down on a hot day, and there are endless play invitations you can set up. 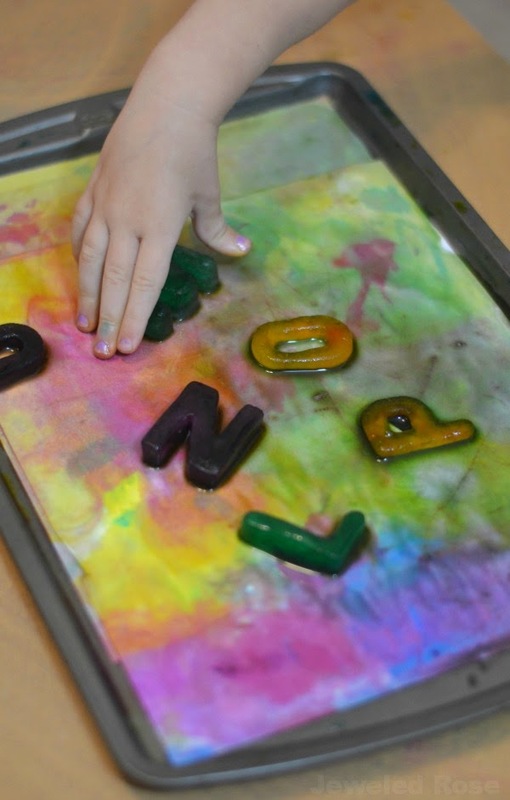 Today, I pulled out our alphabet ice trays and made Kool-aid ice for the girls to play and learn with; they had so much fun! 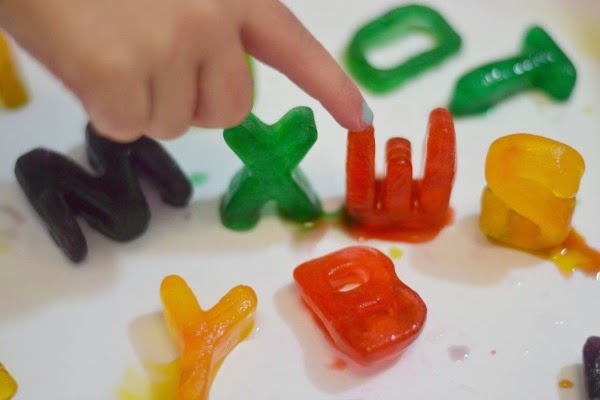 Rosie and Jewel used this simple batch of alphabet ice in so many ways. They reviewed their letters, built sight words, and explored science by seeing if the ice meted faster in warm or cold water. 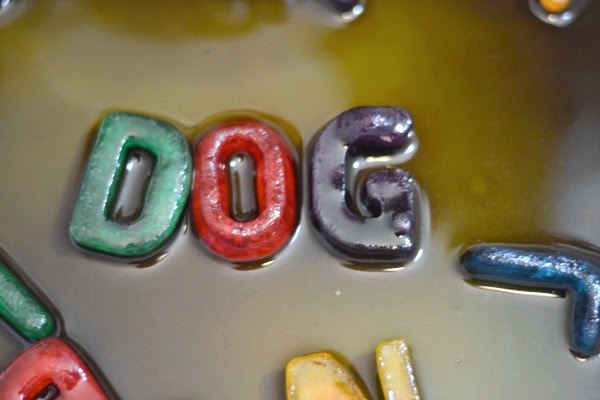 They also had lots of fun creating icy works of art; the Kool-aid letters made a fantastic ice paint. They played and played, and this ice only took me a minute to make. If you don't have alphabet ice trays you can get them online here for just a few dollars. 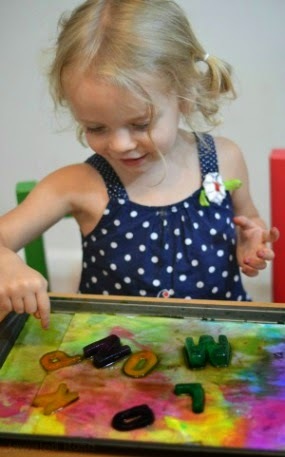 There are lots of fun ways to use these trays, and we have lots more activities using them on the way! 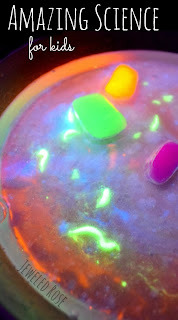 To make the Kool-aid ice just sprinkle a little Kool-aid powder into each alphabet slot, fill the trays with water, carefully stir, and freeze. 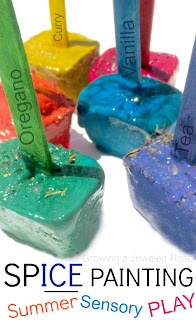 In four to six hours you will have vibrantly colored and delightfully scented alphabet ice. 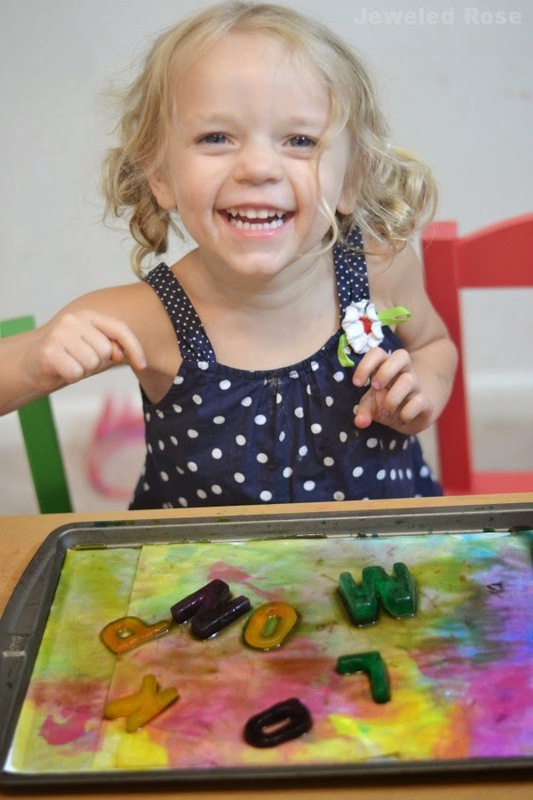 Rosie and Jewel had so much fun with the alphabet ice, and they found so many ways to play! The ice was easy for me to make, and was a great way to beat the heat on a long, hot day. 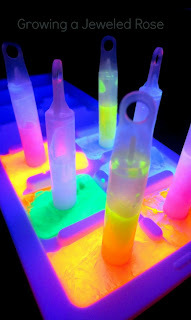 A Few Tips: You only need a little bit of Kool-aid powder to color and scent the ice. 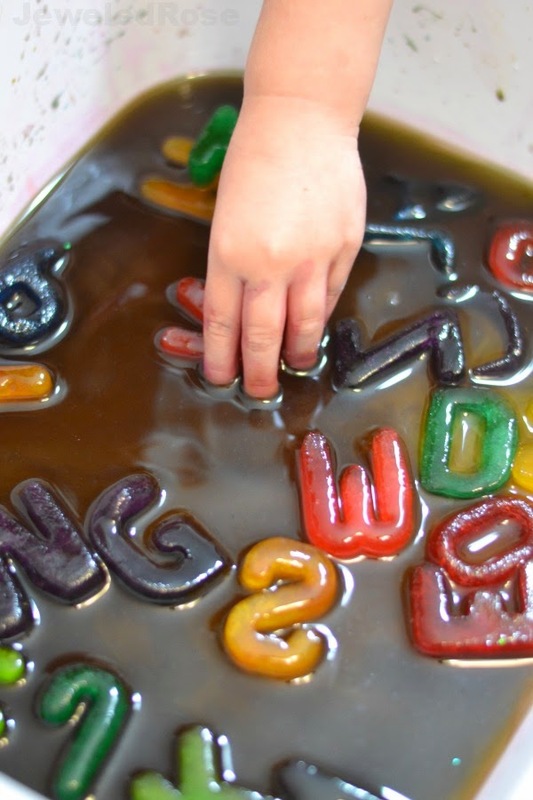 We used four Kool-aid packets to make the whole alphabet. You can get Kool-aid packets at Walmart for 20 cents a pack. It can also be purchased at most grocery stores and in large quantities online here. I do recommend wearing smocks or play clothes as the Kool-aid may tinge clothing and skin for a bit after play.